No products were sent for this review/feature! This post contains affiliate links and I will be compensated if you make a purchase after clicking on my links. I will be compensated $10 for this post. and so is the 4th of July! That means that families everywhere will be pulling out the BBQ's, swimming pools will be busting at the seams and everything that is RED, WHITE and BLUE will be proudly displayed from our neighbors homes! 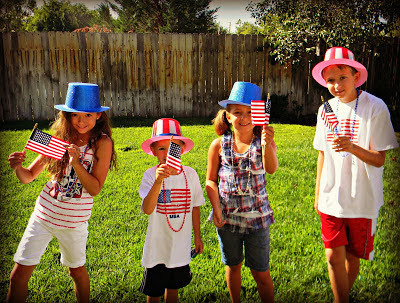 We, as Americans, love to celebrate our independence...and our FREEDOM! It's an honor and we should offer much respect to those who serve in the military, defending that freedom, every single day for us! I happen to be a very patriotic person! Having a Grandfather who was a bomber pilot in WWII and also a daddy who served in the Air Force & is now a veteran...my USA proud roots run deep and strong! That's why I love decorating and celebrating with all things USA for these holidays! 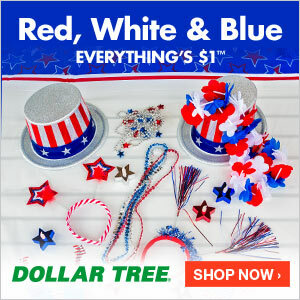 Seriously, Dollar Tree is my go to for everything for parties...but especially for holidays! 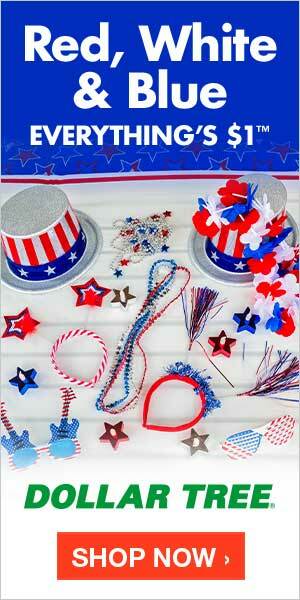 They offer a huge selection of everything you could imagine for decorations, table needs, parties supplies, and more. The best part? EVERYTHING IS $1 at Dollar Tree! I mean, how can you go wrong in a store where everything is just ONE DOLLAR? So RUN, don't walk, to your nearest Dollar Tree and stock up on all things PATRIOTIC, as we approach Memorial Day weekend and the upcoming 4th of July holiday too! You won't be sorry...and your guests will be impressed with how ADORABLE your decorations look! TRUST ME!! And your bank account won't be pouting at the amount you spend to throw a "FIREWORK" party! I will be compensated $10 for this post! I was not offered any product in exchange for this feature! I am an affiliate of Dollar tree and will also be compensated if purchases are made through this post and their links in the post!